Cappy and @alyssumpohl are big fans of Purrcast, especially Fatty so I set out to record Fatty for this weeks episode. 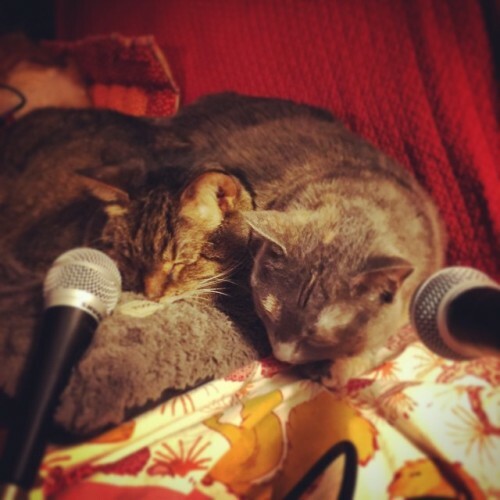 Wilma and Fatty were snuggling together (they are poor weather friends who use each other for heat) so I pulled out a second microphone and went for a twofer. If you listen carefully Pig is snoring away in the background.